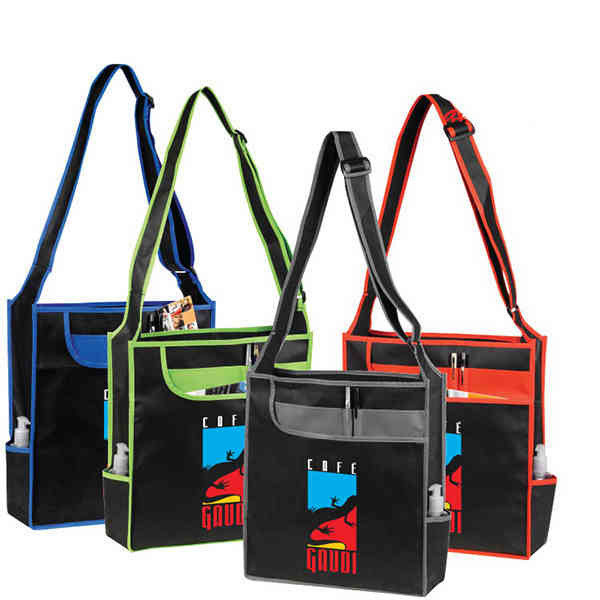 Ibiza messenger recyclable non-woven polypropylene 90+gsm tote bag. Large front pocket with organizer inside. Two open side pockets, pen holders, adjustable strap and drop in covered board. Eco-friendly. 16" h x 15" w x 5" gusset. Size: 16 " x 15 " x 5 "
Ship Weight:34 lbs, 34 lbs per 100 pieces.